Aberdeen’s contentious Tullos Hill deer cull / tree-planting scheme takes a particularly strong blow as a Freedom of Information request shows that the financial picture is not as ‘cost-neutral’ as its (few) supporters would have us think. Suzanne Kelly examines the newly-released figures for Phase 1 of the planting and questions the logic of proceeding with Phase 2. Aileen Malone, Aberdeen City Councillor and Convener of the Housing & Environment Committee has been silent on the subject of her pet project and Liberal Democrat election manifesto pledge lately; she’s not answered emails on the subject, nor has she appeared in the media to defend the scheme. The Liberal Democrat party headquarters likewise have not replied to any emails on the matter of the deer cull to date. Malone is the de facto figurehead for the plan to cull the roe deer (which have happily lived in the area for decades without the need for a cull) in order to plant a staggering 89,000 trees on Tullos Hill. When full details broke as to what this Phase 2 planting entails emerged, individuals, community councils and animal welfare charities expressed dismay and disbelief. “… this project is at practically no cost to the tax-payer”. But is the scheme as cost-neutral as its City Council proponents claim? The answer is most definitely NO. The attached spread sheet excerpt was obtained in mid-December following months of requests (note that a line has been added to show a refund the City had to make – this was somehow omitted). Aileen Malone wrote in early October to advise an officer would get back on the matter shortly. When no information was forthcoming , a Freedom of Information request was lodged (and answered slightly later than was meant to be the deadline). The spread sheet from the city shows incoming money as negative and outgoings as positive figures. There is an outgoing sum of £3,000 at Line 18 with no explanatory text. There is likewise a line for £142 – this may relate to an advertising supplement extolling the virtues of the scheme, but this is not certain. The city also forgot to take off the £43,800 it had to return for the failure of phase 1 on Tullos. Combining all of the figures together, I get an indication that Aberdeen may be £20,600 in the red at this point – and yet may look to go ahead with a bigger plantation. Looking at the list of money going in and out of the account, it seems that the scheme was not the simple, cheap, well thought-out plan promised. When the finances are considered in conjunction with a soil report issued by the Forestry Commission, it is possible to conclude the plan is deeply flawed and expensive. The the soil report indicates that Tullos Hill’s soil quality means the trees would be subject to ‘wind throw.’ This means that winds (such as the extremely strong winds frequently experienced this winter) will more than likely topple trees growing on the hill. The report also points to the possibility that trees simply will not thrive on Tullos for a variety of reasons– but what is the financial impact of failure? The City was forced to repay £43,800 of grant money (after months of being chased for payment, it should be noted) to the Forestry Commission. Presumably this money was generated from the taxpayer in the first place – therefore the taxpayer may well have wound up paying both for the trees to be planted as well as for their failure to thrive. While the City has chosen largely to put the blame for the failure on some 29 roe deer in Loirston County Park, the failure belongs in no small part to those who selected the site, who decided to buy smaller tree guards than had been recommended, who ignored the historic wind, weather and soil data, and who did little about weeds. Perhaps an investigation is called for into the selection of Tullos in the first place, and into any possible negligence on the part of those involved. Will Aberdeen be taking another grant from the Forestry Commission – which arguably we were led to believe was already arranged? If so – why? What are the implications of a failure of 89,000 trees financially speaking? Unfortunately, according to the Freedom of Information response, thereares as yet no financial plans, budgets or projections available. Considering the proponents originally gave a deadline of May 2011 for private individuals to stump up £225,000 to save the deer (a figure which exceeds the £200,000 Phase 1 grant! ), it is highly worrying that projections for the future phase 2 scheme cannot be supplied as ‘the information is not held’. Had the scheme’s supporters come clean in these respects months ago, this scheme may not have gone so far down the road as it has been allowed to. Animal charities offered the services of other forestry experts to the City free of charge with a view to finding a way to plant trees without killing the deer – something which is quite possible to do. Deer will apparently be culled for several years (there are thought to be 29 deer in the area which roam from site to site; these creatures usually live 6-7 years, and in some instances are fed by local people). The city denigrated the experts, and advised it already has an expert. Looking at the companies listed on the spread sheet involved and the people who serve on these companies, a number of forestry experts seem to be involved as paid consultants. As such, these people might be seen to have a vested interest in a Phase 2 planting going ahead; it would be human nature to protect one’s source of income. One of the people whose names crops up in a list of company directors has many directorships to their credit – including charcoal and sawmill director/company officer roles. Some of the twenty or so companies on this person’s list of directorships have been dissolved, including a boomerang company or two. Further research into the companies and individuals mentioned on the Council’s spread sheet is under way. Aberdeen officials have issued conflicting statements on the nature of the forest to be created – some say it will bring in revenue which will help pay for the scheme; others say no such plans are in place. If a sawmill plant, lumber jacking or charcoal works (and these types of business interests are reflected in the company activities of people involved with the scheme per the spread sheet) are envisaged for Tullos, then the public should be told. If one or more persons with vested interests in making profit from lumber are refusing the advice / peer review from animal welfare experts with forestry experience, then the entire scheme should be examined in a public, transparent forum and reviewed by a number of recognised experts. Can complete impartiality of someone who may stand to gain from the Phase 2 planting going ahead be guaranteed? How can there be an objection to wider scrutiny? Companies which donated to the first phase of the ‘Tree for Every Citizen’ scheme are understandably reluctant to use their budgets for controversial Phase 2.
weed protection of some sort will be required which may impact other wildlife, and yet the wind may make it all in vain. Two major companies have indicated that they will not sponsor this next phase. Will any business want to put their brand’s value at risk by association with an unpopular scheme and deer cull? It is highly unlikely, but some in the council seem to think sponsors will be found. Again, there seems to be nothing budgeted, just nebulous talk of seeking business sponsors. Schoolchildren are being relied on to make the plan look more affordable; they will be asked to help plant the trees on Tullos. It seems doubtful that local parents will willingly give consent; thousands have signed a petition against the scheme, and over three thousand people are on a Facebook group opposing the scheme. Clearly if the scheme will have to pay for planting all 89,000 trees when it had hoped to use children in part, then the scheme becomes even less financially sound. The educational benefits of planting saplings should also be delivered alongside the fact a cull is being implemented not for animal welfare reasons (the Scottish SPCA condemns this particular scheme) as it is (allegedly) the cheapest way to protect the trees, that weed protection of some sort will be required which may impact other wildlife, and yet the wind may make it all in vain. Weeds were largely to blame according to a Forestry report for the Phase 1 failure. 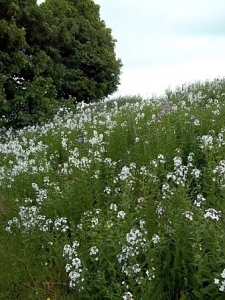 The Aberdeen taxpayer will be paying for several years of ‘weed control’ for Phase 2 – this may mean spraying pesticides which will damage other plants, insects, birds and other wildlife. Using pesticides in an area near factories, homes and schools will also lead to further citizen protests. Aberdeen paid £7,125 for Bryan Massie specifically for weed control in Phase 1 (as well as another £22,800). If the weed control was inadequate then, then how much more will we spend annually? It is important to remember that Tullos already has its own wildlife and is a thriving ecosystem in its own right. Gorse clearance is also recommended, although many environmentalists state that gorse is a food and habitat haven for much wildlife. How much money will the taxpayer spend ripping up gorse? (Note – while over the months there have been different figures mentioned and unofficially given, it is assumed that the most accurate set of figures is the one supplied by the Freedom of Information request received mid December which is used in this article). The Freedom of Information request seems to be admitting that no budget for the future phase is held by the City. An earlier FOI request shows that despite everything the proponents have said and done, there is as yet no formalised application lodged for a second phase. This means that for nearly a year the claims of proponents such as Malone that the scheme was going to go ahead and was going to be cost neutral were inaccurate. It is possible that some of the members of the Housing Committee voted in favour of this plan based on its being cost neutral; if so, the matter should be examined by that Committee and the relevant Audit Committee. It is safe to assume that not every single grant application gets approved. We seem to have a situation for Phase 2 where there was no final, formal application for funds lodged, no approved funding in place, and no budget in place. When the £43,800 repayment is subtracted from the accounts it certainly looks as if some £22,000 more than was granted was spent on Phase 1, leaving a budget deficit for Phase 2 before it even starts. In the absence of information to the contrary the evidence speaks for itself. Parents of school-age children might wish to check with their schools as to any planting plans involving their children. Voters might want to ask their City Councillors how they stand on the issue now, and if they were in a position to vote on the matter in May 2011, did they then believe the scheme was cost-neutral. Private sector companies might wish to think twice before entering any sponsorship/funding deals for Phase 2 as well – it does not look like a public relations win any longer. The whole point of the cull was to make the tree planting possible, yet some council officers and elected officials want to backtrack on that point now. They now claim it is for animal welfare reasons and not the trees. However, the entire unfolding history of the City’s claims are a matter of record. What may have started out as a great-sounding greenwash election plank has irrevocably turned into an unpopular, controversial, seemingly disorganised non-starter. 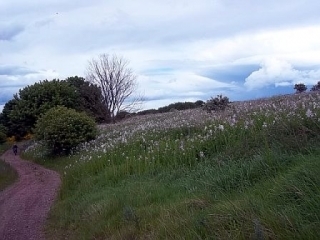 It is time to leave Tullos alone for now – or to consider enhancing its status as meadowland. Anything else just does not add up. Aberdeen City’s ‘Tree for Every Citizen’ scheme, the proposed deer cull, and the case for meadowland preservation are examined in an extensive report issued by campaigner Suzanne Kelly. This report examines a controversial plan by Aberdeen City Council to attempt a second plantation of 89,000 trees on Tullos Hill. The first attempt largely failed due to poor soil, weeds, and other factors, including arson, weather, and deer browsing – according to a Forestry soil report. This first attempt cost the City £43,800. The issues of how the City launched its public consultation (which omitted a 2-3 year weed control requirement and a deer cull) and how it has since responded to its Community Councils and citizens forms a large portion of this report. The report also focuses on the benefits of keeping the hill as it is – a grassland/meadowland, enjoyed by both people and a wide variety of wildlife. The City has previously stated that this scheme is ‘cost neutral’ – but as emerged last month, there is actually no funding in place, as only a draft application has to date been submitted. Proponent of the initial scheme, Cllr Aileen Malone, has left recent emails on the subject of the financing unanswered. Meadows throughout the UK are being lost to development at an alarming rate. In the same area as Tullos Hill, a football stadium is set to be built in an Special Area of Conservation (SAC), with 2 species of EU protected animals known to be present. Also nearby, a housing development also spells loss of green space. With wildlife losing breeding and feeding grounds in this area of the city, campaigners including Kelly and Councillor Neil Cooney are calling for a re-think to the tree scheme. 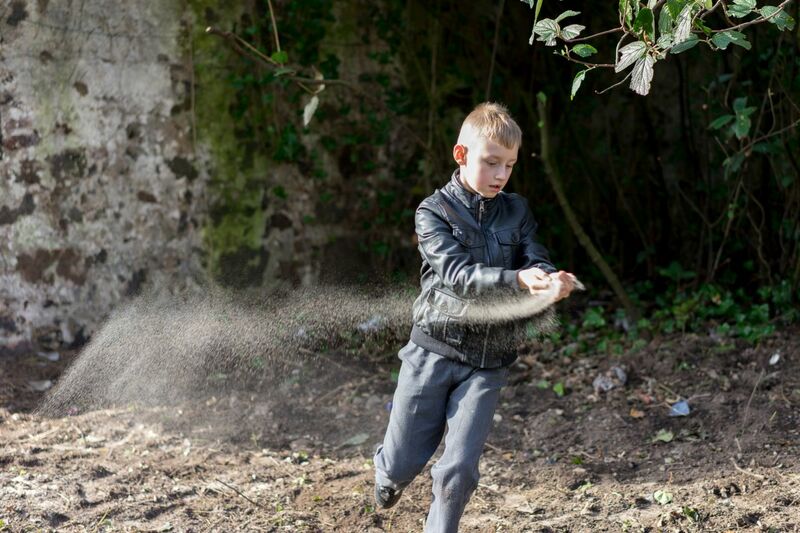 A Soil Report from the Government indicates that a planting on Tullos Hill will not be successful. 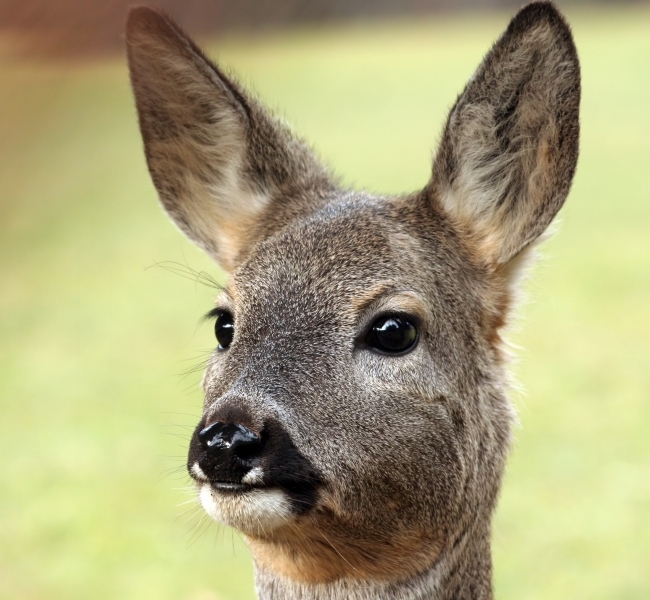 Animal organisations, including the Scottish SPCA, condemn the proposed deer cull, which was announced in March. Documents demonstrate that the cull was planned specifically for the tree planting, although the City’s officials are now saying it needs to cull part of the small herd (some 29) in general – the figure of 9 deer and a cull lasting a few years have been suggested. The deer roam across several sites. Animal charities point out that many methods of planting trees with non-lethal measures exist, and that other deer would likely move into the area after a cull. Many experts question the wisdom of putting so many trees on a windswept hill on the North Sea where a previous attempt failed.